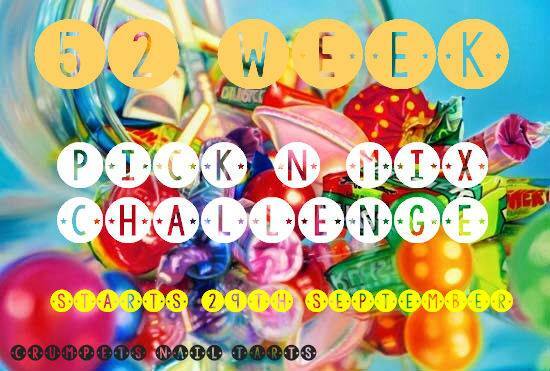 Oops, I’m late again for the 52 Week Pick n Mix Challenge … but only by a day. 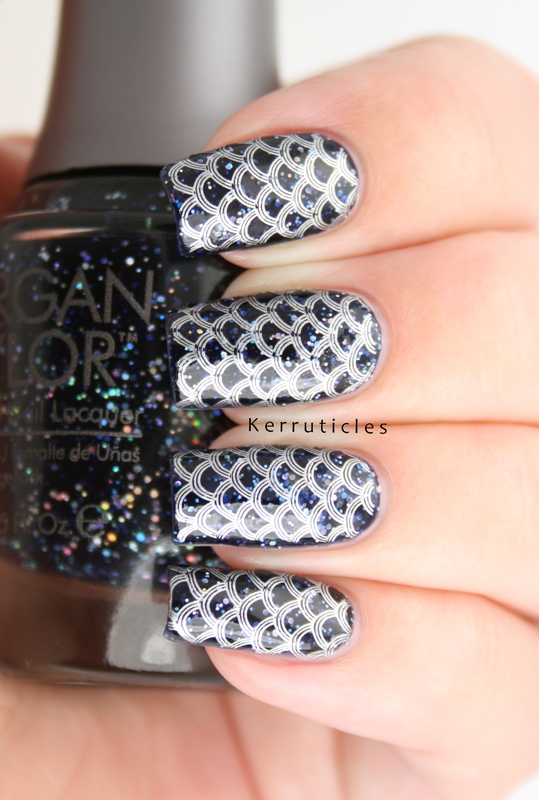 The prompts were navy and scales. 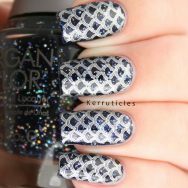 I’ve combined them this week and have used Morgan Taylor Under The Stars, stamped with a mermaid scales design in silver. Morgan Taylor Under The Stars is a long time lemming of mine. But even after waiting a couple of years to buy it, I still waited another four months to wear it. That’s not surprising though seeing as my untrieds pile currently numbers more than 300 polishes. I really need a concerted effort to try to use them all. 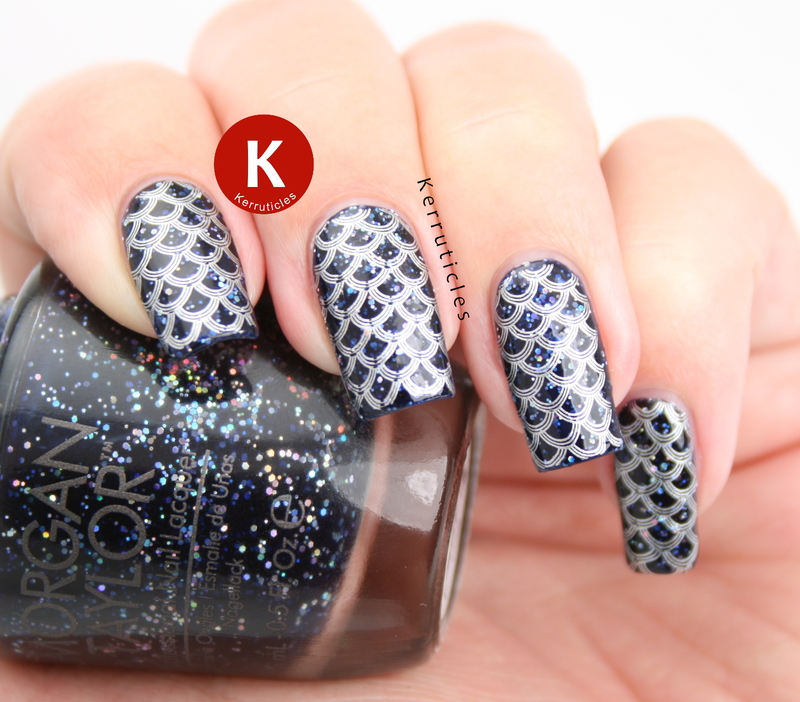 Under The Stars has a navy blue jelly base with small and tiny holographic silver glitters. It’s gorgeous to look at. 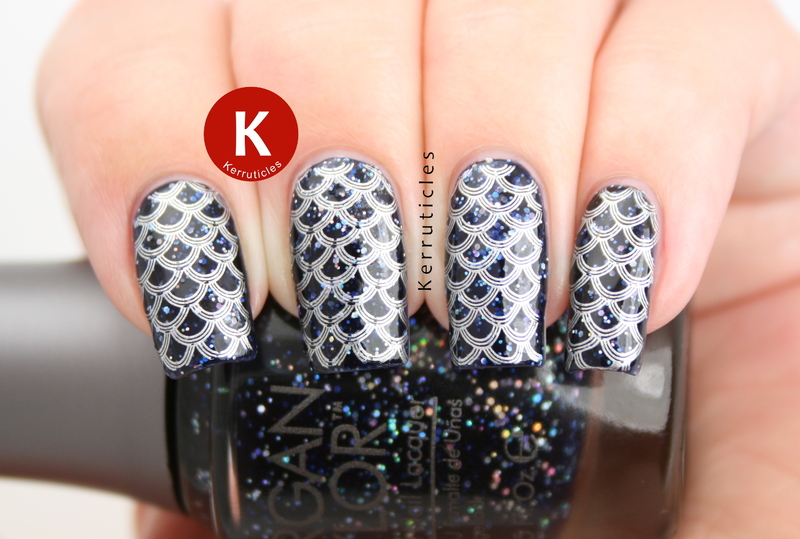 I stamped a mermaid scales pattern using Bundle Monster BM-502 and Barry M Foil Effects Silver. The polish was still a bit lumpy, despite a coat of Gelous and a coat of top coat. But with a final coat of top coat after the stamping, it was nice and smooth. The final look is not particularly mermaid-like. Under The Stars would be perfect for a galaxy manicure; not so much for a marine look. But it’s beautiful all the same. I’m glad I slayed that lemming. STUNNING. And “slayed that lemming” made me laugh. BTW, every.single.time. I see a mani where one of you lucky U.K.ers used a Barry M gold or silver foil effects polish to stamp with, I just (nearly literally) want to scream. They stamp SO beautifully. And we have nothing this side of the pond that comes close, IMO, to the gold color one, especially. I almost bought a few bottles of each directly from the Barry M website before they were discontinued but put the brakes on the order each time because I couldn’t bring myself to pay the shipping fee. I am so unhappy with myself now because, yes, I can still find bottles of the gold foil, but just one bottle costs more than the shipping fee would have back when I nixed my own orders. Cry. Weep. Sob. I’ve learned my lesson though. Next time I feel so passionately about a polish that I nearly order it at least three times, I’m going to buy it, abhorrent shipping fee or no. Pant, pant, pant. I know that you are glad that you slayed under the stars. This look is gorgeous. It reminds me of how the ocean looks when you are far out.